I have always been an early riser. No matter how late I turned in the night before, my body is incapable of staying in bed past 7:30 AM and anything beyond a quarter past six is spent in a state of fidgety restlessness. These behaviors have persisted despite a lifetime spent in the company of folks who would snooze until noon if given the chance, but I’ve come to enjoy that daybreak oasis of quiet solitude. It gives me the chance a take stock of my mental and physical condition, and meditate upon the overall state of things. When I was young child, my mother used this to impart lessons of self-sufficiency via self-interest. Give a kid some breakfast, and you can go back to be for three hours. Teach him to make his own, and you won’t need to get up at all. Besides laying out a bowl, spoon, and a box of the currently preferred sugar-blasted cereal, my mom also wrote out a kid-centric summary of the local TV listings (with numeric and clock-hand pictogram timestamps) with my known favorites bolded in marker. This was back before the broadcast day was expanded into a 24/7 affair. On most weekday mornings, my televised companion during my first bowl-and-a-half of Alpha Bits was a test pattern accompanied by a stream of AM Gold standards of Me Decade. Chuck Mangione’s “Feels So Good” was prominent in the mix with MECO’s disco do-over of the Star Wars theme and Silver Convention’s “Fly Robin Fly” — songs that stuck in memory because of parental affection or personal fandom or dumb kid jokes. The song’s subject matter (trains, which were up there with sea life and warships as a childhood obsession of mine) and its warm yet melancholy tone resonated strongly with the streak of sentimentality no amount of performative cynicism has managed to fully erase. It offered a glimpse at a bigger — and vanishing — world to a kid whose horizons began and ended within a couple miles of a single-road access North Woburn neighborhood. I bought the single of “The City of New Orleans” because the asking price was low and the song holds a strong personal significance. That same resonance makes it difficult to listen to outside of rare occasions, lest the psychic weight of it squash me flat. Early riser as a kid here, too. 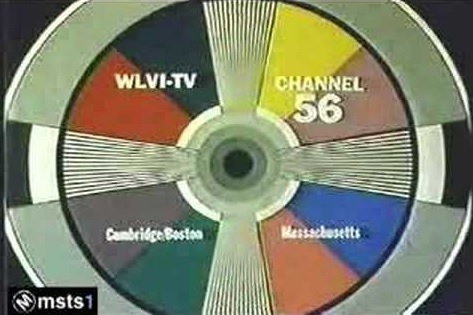 I remember that channel 56 test signal so well. I remember some of the real early show for kids. Like there was a sea Captain who would be in his little cabin, and he would paint. And then the odd Jabberwocky. And Davey and Goliath. LOL – Good times. …I never knew who did that song. Thanks!